In the aftermath of the Dawn of Magic events, parts of the world took massive turns. This unfolds a whole new series of events! Soon, there will be a Coronation Ceremony in Reim to celebrate the newest ruler of the country. Word is that while the celebration is open to everyone, with several parts of the city being barricaded off to accommodate the large number of people certain to be in attendance, if you wish to attend the ball itself, a staggering price of 100,000 Huang will be required. If you are lucky enough to find a financial backer or to get a job inside, you will be able to hear the King’s speech to his people, including how he plans to rule and what he intends to do for his people. In Reim, there has begun whispers of a mysterious man, cloaked to hide himself from view, trying to contact those with Fanalis blood and bring them together, though for what, no one can figure out yet. Who is this mysterious man and why is he gathering those of Fanalis blood? Perhaps you may find out. Along with the mysterious cloaked man comes the beginning of an influx of Kou citizens to the city, eager to make good on the treaty between the two countries. The integration will not be without its hardships. Will Reim accept its new higher power and the flood of Kou citizens and soldiers into its country? How will this affect the leadership of the new King, Lagi El Nagi? Will the new King make good on the promises made at the Coronation ceremony? Are the rumors of him trying to incite war with Heliohapt true? Will he drag the city into conflict so early in his rule or will he be content to try and work on his home country before expanding its borders? 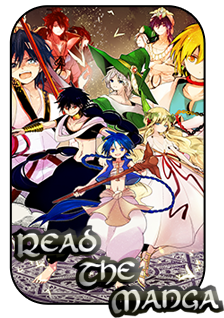 Find out all this and more in the next chapter in Magi World – Day of Magic: Meddling With Fate! For a synopsis on Dawn of Magic, click here!